Zestos: Enabling life through communication of research: Emotional closure - viewing a loved ones body after a traumatic death. Emotional closure - viewing a loved ones body after a traumatic death. While my Grandfather was on his death bed I traveled down to see him in Hawake's Bay. When I got their he had already died while I was traveling and nobody contacted me about it. So when I turned up at the hospital I could figure out why different relatives were around the hospital bed that my grandfather was in..... upon inquiring I found out that he had moved on.... fortunately I had visited a few weeks earlier when he was "with it" so wasn't totally gutted. Anyway the nurses asked if I wanted to sit with him. I took it up as thought it would be nice to have some one on one time to say my last good byes. I was totally shocked when I saw him. 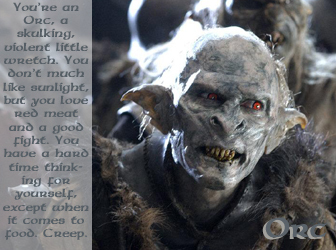 His mouth was open, skin pale and deathly greenish, eyes like black sockets, not much hair and he instantly reminded me of a orc from Lord of the Rings Pete Jackson movie. After I had spend time with his body I moved on...... however I had to take the time to view him at the funeral home - cause I didn't want my last memory of grandad to be a orc! So I did see him again. I was amazed at the transformation. He looked old, but so much more like him when he was healthy. Very impressed with the ability to transform the body from a very scary look to a calm, peaceful and real look. Seeing the body brought home the reality of death; it could be shocking or distressing, but, in this sample, few who did so said they regretted it. Even after a traumatic death, relatives should have the opportunity to view the body, and time to decide which family member, if any, should identify remains. Officials should prepare relatives for what they might see, and explain any legal reasons why the body cannot be touched. This has changed my view. I would have previously declined to see any loved ones body if it was irreversibly damaged via trauma. However after reading this study I would seriously consider looking at the body to help with closure. I know that this was hardly a wellness message, however it is research that can bring people life.... so have included it!